How do you get rid of hair algae? You will need food grade Hydrogen Peroxide and a thin plastic syringe the type used for testing kits. Depending on the kind of food grade Hydrogen Peroxide that you get will determine how much you can use. The holy grail is 35% Hydrogen Peroxide but now in days, 12% is more common, and it's what I used and works great. If you are using 35%, the suggested dose is 1 ml per 10 gallons of water. I was using 12%, so I was doing 2 ml per 10 gallons. 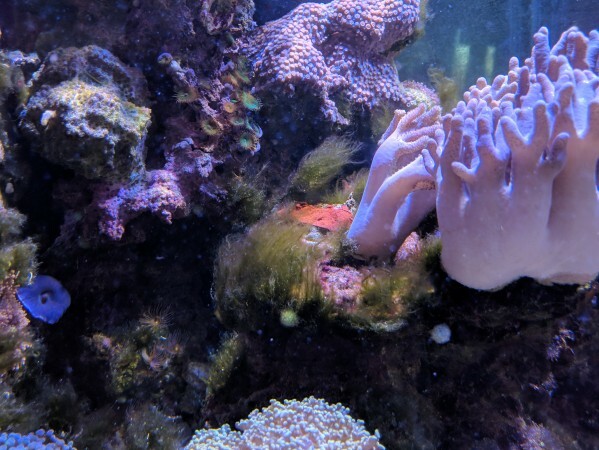 Turn off all flow in the tank, fill the plastic syringe with the food grade Hydrogen Peroxide shot a small amount of the Hydrogen Peroxide at the hair algae. At first, it will look like nothing is happening so you may be inclined to put more Hydrogen Peroxide on the algae, don't. Give it a few seconds, and you should start to see bubble forming. Before you know it, the algae will have lots of bubbles everywhere. Move on to the next bit of hair algae until you have dose the amount you are supposed to or you hit all of the hair algae whichever comes first. I left the flow off until I started to see the bubbles start to die down quite a bit which for me was about an hour. You may wish that you had added more Hydrogen Peroxide to an area but wait 24 hours, you may be amazed at how much will die off. I used the Hydrogen Peroxide 4 days in a row before all of the hair algae was completely gone. On the last day, it was just really small amounts that most people could not see. 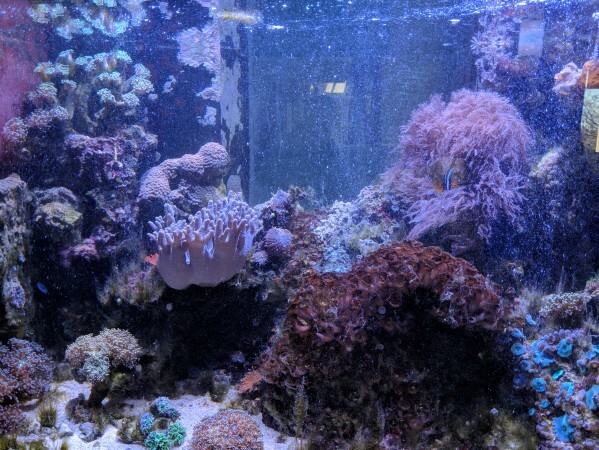 I heard about using Hydrogen Peroxide a long time ago but I was always hesitant to try it in my Mixed Reef Tank which is dominated by SPS corals. Well, I am a fool for not trying it sooner. Keep in mind that this may be a great way to get rid of hair algae but it does not solve the problem that caused you to get hair algae. In my case, my issue was with our RO/DI unit I was using, it was neglected and was reading almost 130 TDS. I did not have any shrimp in either of the tanks that I used the food grade hydrogen peroxide on. A user claimed that the food grade hydrogen peroxide could harm shrimp so caution. 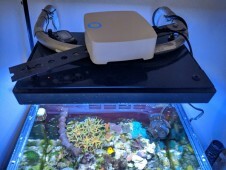 Also, anthelia corals did not like the hydrogen peroxide, I think they will bounce back without an issue but they looked bad after treating, so I imagine pulsing xenia would also not like it. 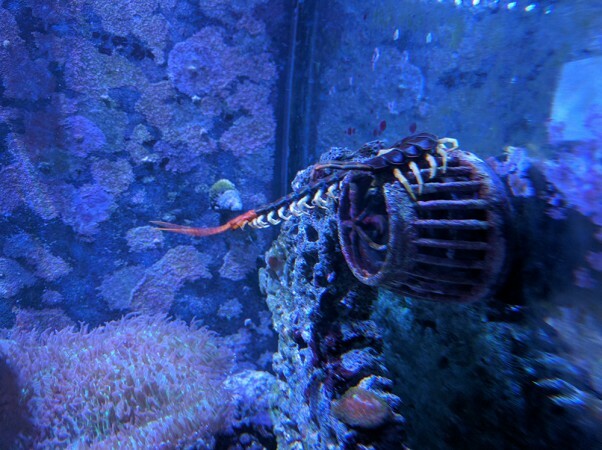 What fish will eat hair algae? Some of the fish that enjoy eating algae are Blennies are herbivores and will spend all of their time eating the algae on your live rock and tank glass one of the more popular option is the Lawnmower Blennies and are stable for all size tanks. All Blennies are jumpers so keep your tank covered to prevent them from jumping out. 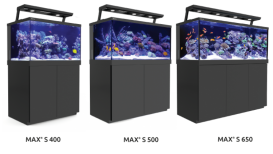 If you have a 6' long tank or longer you may want to check out Tangs / Surgeonfish these fish are super active and that is why they need a 6' long tank because they are constantly on the move. All this movement make constantly pick at algae on rocks or the glass. Do snails eat hair algae? Snails are herbivores and spend their entire time eating algae on your rocks and on the aquarium glass. Some snails seem better than others on the variety of algae that they eat, I had good luck with trochus snails and cerith snails but unfortunately, they can turn them self over if they fall and flip over. Some of the better snails to get that are reef safe and they have the ability to flip over like Margarita, Nerite, Turbo, and Zebra Turbo Snails. 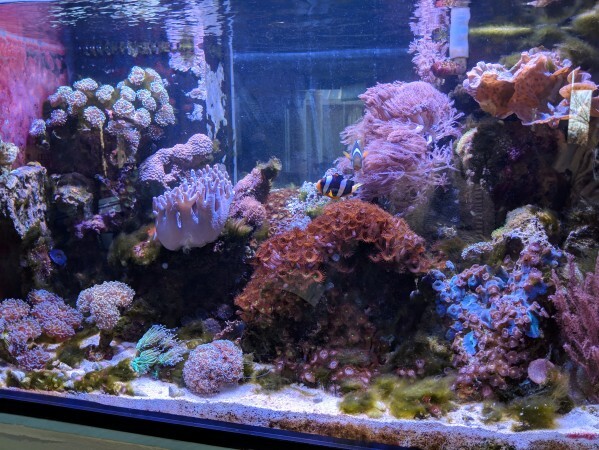 How do you deal with algae, let us know in the comment section below.